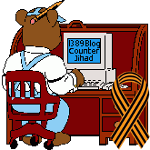 browser — 1389 Blog - Counterjihad! How often do you look at your own blog? If you use the Firefox browser, be careful which add-ons you download!